Lemons... I know. But close enough. Fruit is so in right now. Like fruit fashion. Pineapples are everywhere! It seems like when you buy a pineapple it's required to take a picture of it to post on Instagram. Nothing wrong with it, but I find it funny that all of a sudden pineapples took over all social media!! 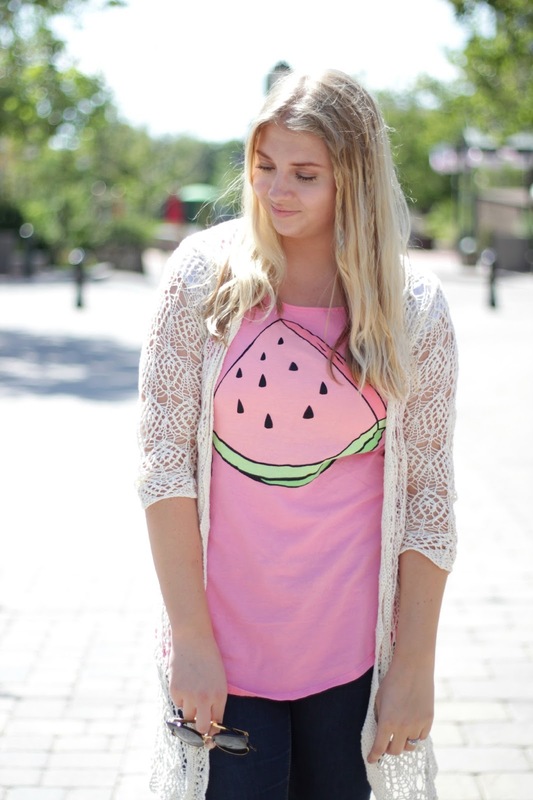 Anyways, I'm bringing in the watermelon to today's post. I absolutely love this shirt. I feel so summery in it and the color is so happy! This weekend we are heading to an amusement park and pretty sure I'll be wearing this. Man. I so wish today was Friday, but we're so close!!! 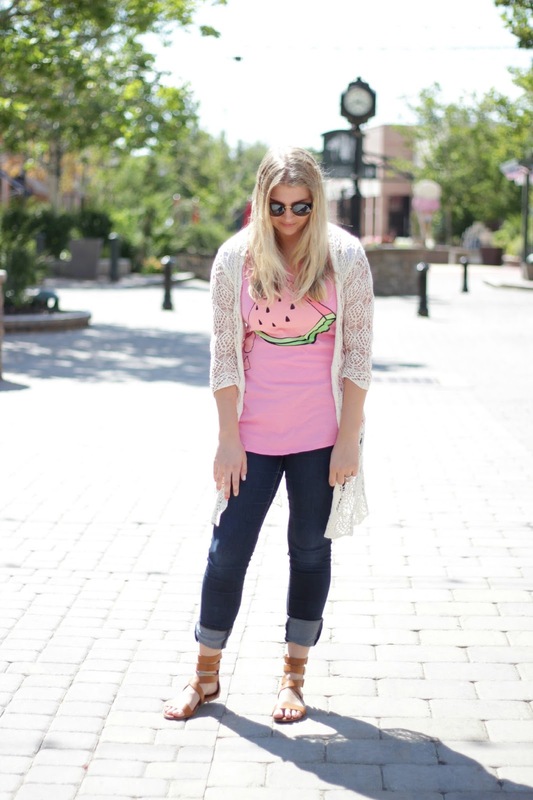 Cute top! 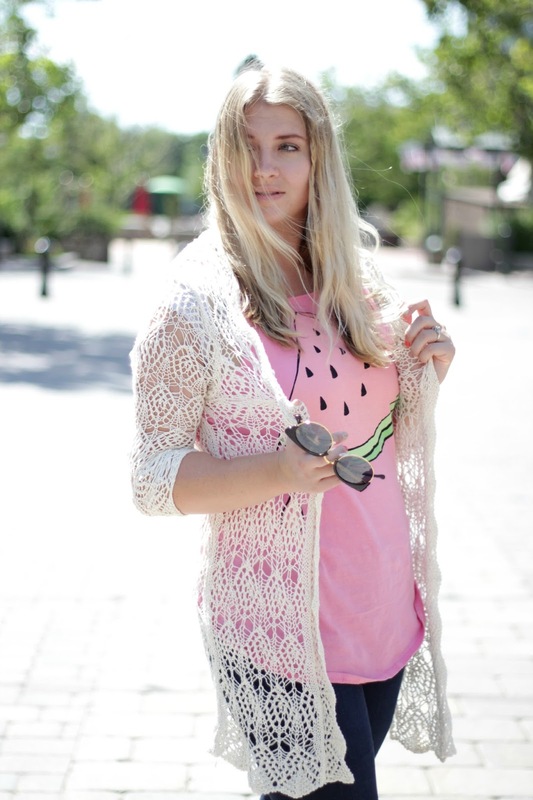 Love that cardigan too! I love the top! 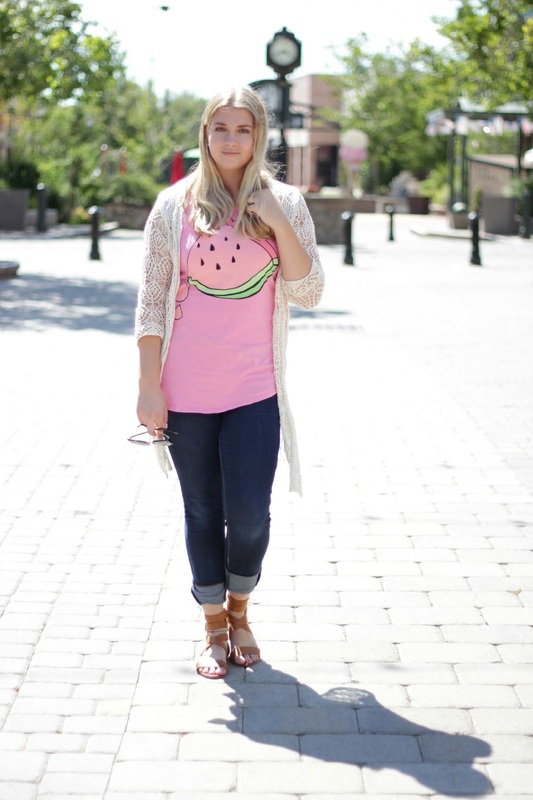 I've seen pineapple tees but haven't seen a melon one. 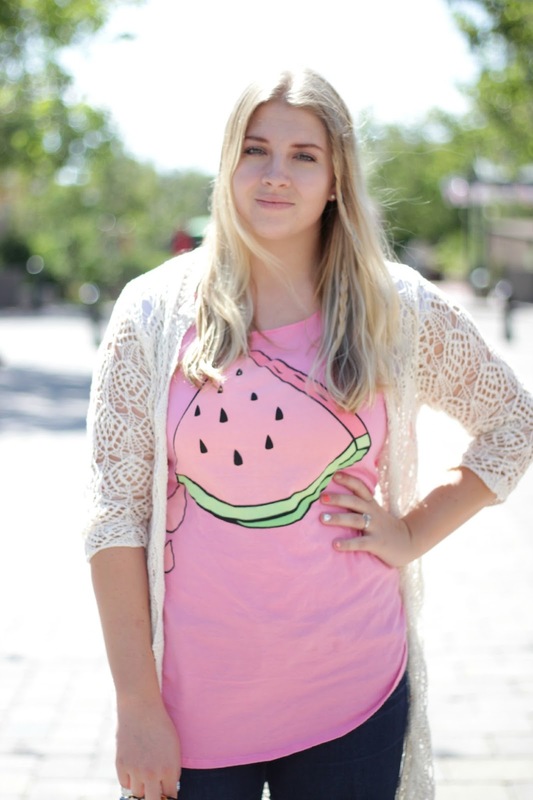 That watermelon tee is super cute! So cute! And that cardigan is amazing!